I stayed at Arusha Backpackers Hotel with a friend for a few nights and we had a perfectly fine experience. The rooms were small, minimal and cozy and the rooftop bar meals were great. The washrooms weren't the cleanest but provided us with cool showers and plenty of hot water when it was needed (the room also came with towels). Arusha Backpackers Hotel, a member of the Kindoroko Company, is a budget hotel built recently in Arusha, Tanzania to provide accommodation for tourists and other visitors wishing to stay in Arusha or on their way to the northern Tanzanian tourist circuit including climbing both Mount Meru and Mount Kilimanjaro. 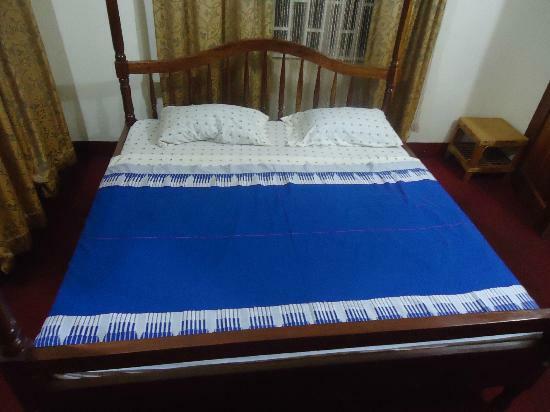 The Hotel is strategically located within the Arusha Town Central Business District along Sokoine Road opposite Gapco Petrol station and close to Meru Inn hotel and adjacent to Meru Post Office and Meru Petrol Station. There is an ample and very secure parking space and both public and private transport are easily accesible. At the hotel, guests get a magnificent view of Mount Meru especially given that we have a well stocked rooftop Bar & Restuarant where you can relax while enjoying the views and sounds of Arusha by day or night. The rooms were small but had all you'd need, and the street outside was loud at night but when you're paying only $8 American a night (each, for a double room) can you really complain?